Home > The new TripAdvisor – the internet’s answer to Facebook for travel? Have you seen the new Tripadvisor? You may not have noticed it, but the world’s most popular online travel community (with its almost 500 million unique monthly users) has recently undergone a major overhaul. For the past few months A Luxury Travel Blog has been proud to be one of a select group of online influencers invited to take part in the beta phase of a then confidential new social initiative on the site. Now that this has just been officially launched, though, I can tell you more about it! The key change is that individual users on TripAdvisor now have their own travel feed. It’s a new way for communities and travellers to connect and share the world around them. With its early use of online booking, the travel industry stands as one of the first successful adopters of digital marketing. But as tech’s effect on consumer behaviour continues to evolve, so must the playbook by which companies operate. For travel companies, that means meeting customers’ rising expectations for assistance at every point of the travel journey. When a user pulls out their phone and searches for a nearby hotel, restaurant or activity, they expect the information they find to be tailored to them, based on their location, time of day, and personal interests. And better still, even tailored to their information based on personal preferences or past behaviours. Inspiration from familiar brands and people they know is also important. TripAdvisor has long been the best place for companies and influencers in the travel industry to attract customers and, throughout the travel customer journey, the site’s deep content and community drive a truly differentiated travel experience. But now things at TripAdvisor have developed that little bit further – it is now the first ever truly connected social travel community, where you can create, discover, share and follow original travel content and experiences from not only your friends, but also your favourite brands, travel influencers and local experts. 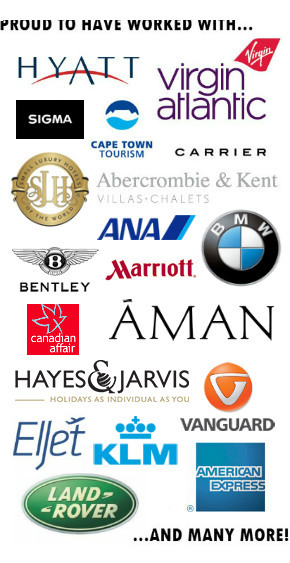 …to be more connected to travellers like them, their favourite brands and influencers. …to be inspired through vivid imagery and video. …to build their own unique communities within our larger global population. …to maximise their travel and dining experience derived from the wisdom of this global community. …to live like their influencers and discover new ones who help them travel better. …to have more relevant, personalised recommendations from people, brands or influencers they trust. As a result of the new changes, travellers gain access to TripAdvisor’s trusted and valuable community expertise, as well as curated content from beloved brands, publishers, and influencers. Please follow us on there and you’ll be the among the first to know when we share new content, post reviews and so on and so forth. It’s just another great way to follow what’s going on here at ALTB! Tripadvisor’s influence is immense. I often begin by checking their “Top 10 things to do” list to help me decide whether a location is worth visiting. Recently, I’ve been flirting across to You Tube to watch videos of hotels. Of course they are airbrushed versions of their best selves but you get a visual image. I guess this will be an area that Trip Advisor will move into. I’ve got to agree that Trip Advisor’s power is huge. I’ll probably read 20 reviews before I book a hotel. It’s worrying that a few adverse comments, which often aren’t fair, can have a bad impact on a place. It’s got to the stage now where I won’t book a new hotel that hasn’t got any reviews. I read somewhere that 74% of people booking hotels online check-out the reviews on Trip Advisor before they book. That’s already massive industry dominance, even before the new measures fully take effect. Yes, this (videos) is an area that Tripadvisor that have moved into more with the recent changes. As well as being able to post reviews, users can now post photos, videos and links as part of their travel feeds. Not surprisingly the Trip Advisor CEO has claimed that the new look site is going to be an industry “disrupter.”. The sort of comment that is frequently made by business gurus promising radical change and revolution. Though with business’ big battalions lining up on his side, I’ve got a hunch that he maybe right. With National Geographic and Condé Nast Travel eager to get their content onto the site my guess is that Trip Advisor are moving-up to the next level. Now users will have the ability to follow trusted advisers and create personal itineraries and wish-lists, as well as fulfilling those desires with booking, Trip Advisor are creating a One-Stop Travel Shop. Many users will not need to go any further. It certainly has grown into a giant of a resource. The big change for me was when they integrated social the first time… it’s one thing to be able to see reviews, but to see reviews from people you actually know and whose opinion you might (or might not!) wholly respect… well, that adds a whole new dimension. Hopefully this latest change will add still more. The new TripAdvisor looks great. It will be great to see how it is received by the wider TripAdvisor community over the next few months. Yes, I think it’s going to be interesting, Henry… I’m seeing some mixed reports but largely I think the response has been a positive one. I guess with so many users, you’re never going to be able to please everyone but, if they can please most, they are definitely on the right road for further success. I rely on TripAdvisor for hotel reviews mainly, which I find really useful before booking rooms for my trips. I especially find user images the best since they’re raw and unedited. And yes, I’ve recently noticed that it shows other users “posts” now, if we may call it that. It’s really helpful, similar to the hotel reviews which is what TripAdvisor is known for. Glad you’re liking the new look, Angela. And I agree, user photos of rooms, etc. can be really, really useful (and often far removed from the hotel’s best pre-prepared and sometimes even airbrushed room!!). I always visit TripAdvisor before I book my next travel. It shows me what to expect and reminds me of things to take note of. I haven’t visited the site recently and haven’t had time to check TripAdvisor Connect, but I am sure that this will give me a better insight about the future places I’m going to visit. Planning trips are definitely getting easier these days. That last point is very true! Researching and booking independent travel arrangements has never been easier, that’s for sure… and hopefully it’s about to get easier still. I argue that he can avoid dodgy hotels and crowds and biding places at busy times but he just says that “you have to take the tough with the smooth”. I can see where he is coming from. Personally, I prefer to increase the odds of having an awesome travel experience. Besides, for me the research is all part of the travel experience. But on a serious note, I agree with you… researching a trip is all part of the experience. Sure, you don’t want to plan everything to death – that would be boring – but it is nice to have some kind of loose structure to your plans and a site like TripAdvisor can certainly help in that regard. Looks like I am in the minority but I really do not like the changes to Trip Advisor. I do like to read the hotel reviews before I book but I have no interest in the opinions of “influencers”. After using Trip Advisor for years and submitting many reviews, I am looking for an alternative. Hi Terry… thanks for dropping by and sharing your opinion. We like to hear from all sides. I’m sorry to hear you have no interest in the opinions of influencers (hey, we’re not all that bad, you know… some actually have quite useful information to share!). But I’m intrigued as to why you feel you need to go elsewhere. If you have no interest in that part of TripAdvisor, surely you just don’t use that part of the site. You can still review and read reviews as before – you’re not forced to use all aspects of the site. Similarly, when TripAdvisor added the option to book hotels online – in addition to sharing hotel reviews – that wasn’t a feature of the site you necessarily had to use; you could just ignore it if it wasn’t for you. Surely this is the same, no? Thanks for your response, Paul. You are right – I can just ignore the influencers, however, all those photos and posts seem overwhelming to me. Maybe I’ll get used to it. (I do value your opinion – that’s why I subscribe to your email ? Thank you, Terry… that is very kind. :) I guess it depends to some extent how you use the site, and what route you take to get to the information you need and what you see as a result. In my case, when I want to see the reviews of a particular hotel, I would normally head to Google and type in something like ‘burj al arab reviews’. With that particular search term, ignoring the sponsored results for that search, the first thing to come up is this link on TripAdvisor. When visiting this link, I don’t see any options to book and some professional photos, followed by some background info and suggestions of other hotels I might like. The reviews are then further down the page. I don’t see any input from bloggers and influencers by taking this route, but perhaps it is a different experience if you use the site in a different way…?